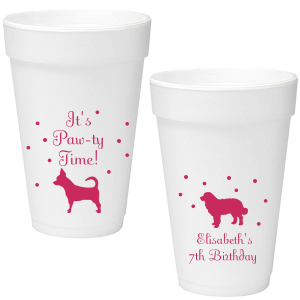 Keep the cold drinks flowing with custom kid birthday 16 oz foam cups! 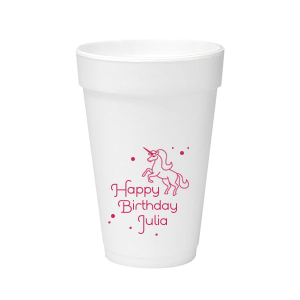 Perfect for root beer floats or even hot chocolate for your cool weather birthdays. 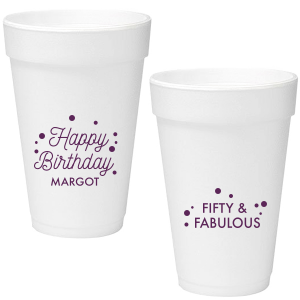 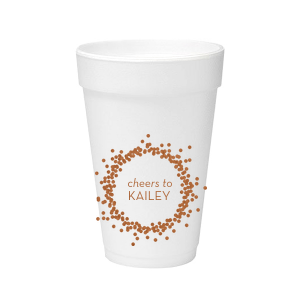 Design your unique personalized kid birthday 16 oz styrofoam cups today. 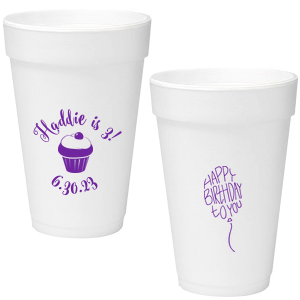 Upgrade from the solo cups and order custom designed kid birthday 16 oz styrofoam cups for your next birthday celebration. 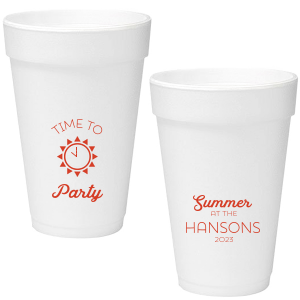 Choose a screen printing color to coordinate with your party theme and a design, and soon you’ll be perfecting your custom designed kid birthday 16 oz styrofoam cups. 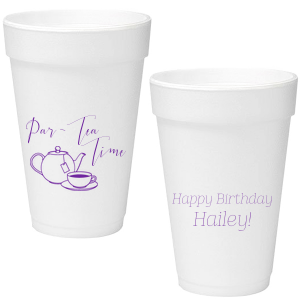 Personalize your kid birthday 16 oz foam cups on both sides for maximum customization. 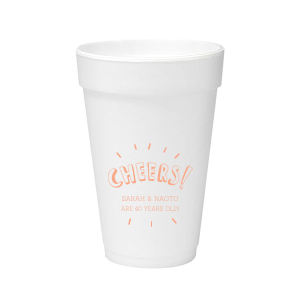 The 16 oz kid birthday styrofoam cups are a great size for a generous serving of soda or lemonade, leaving plenty of room for ice. 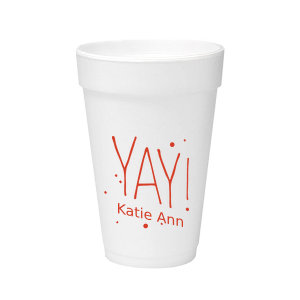 Take our customizing features for a spin and design your personalized kid birthday 16 oz foam cups today!